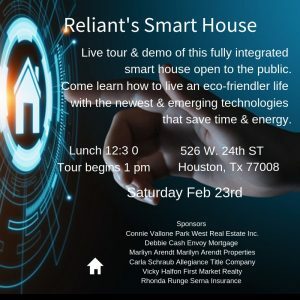 Reliant’s Smart House Houston, Tx will be open February 23rd, 2019. Limited space – reserve your spot today. Reliant’s Smart House Houston, TX is a fully integrated home. This will be a live tour and demo of this fully integrated smart house. 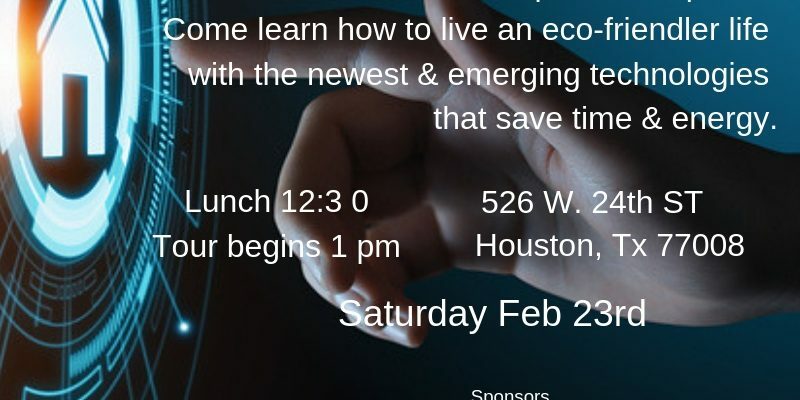 Learn how to live an eco-friendlier life with the newest and emerging technologies. Save time and energy. The smart house serves as Reliant’s testing center for smart and eco-friendly technology. One and half hour tour and demo will feature all the newest technology for your home. Smart appliances, lights, security systems, electric car-charging ports and electronic privacy windows that auto close. In addition to solar panels and other energy saving devices the home has power-generating and storage solutions such as a M-Trigen natural gas HVAC and power generator, two battery systems, a Lithium ion battery pack and a lead acid battery pack that can store electricity in case of emergencies. Limited space for this tour. To reserve your spot please contact Connie Vallone 713 249 4177 – Park West Real Estate Inc.